In this tutorial, we will be installing and configuring OrientDB on an Alibaba Cloud ECS with Ubuntu 16.04. By Hitesh Jethva, Alibaba Cloud Tech Share Author. Tech Share is Alibaba Cloud's incentive program to encourage the sharing of technical knowledge and best practices within the cloud community. OrientDB is a free and an open source NoSQL database management system with support for graph and document databases. It is written in Java can run on any operating system. OrientDB includes an integrated web-based graphical user interface to easily handle the database through a web browser. OrientDB is a fully ACID-complaint with help for multi-master replication, allowing uncomplicated crosswise measuring. OrientDB supports schema-less, schema-full and schema-mixed modes. OrientDB is available in two editions Community Edition and Enterprise Edition. OrientDB Community Edition is built upon by a community of developers and is free for any use. 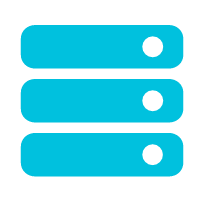 Supports horizontal scaling, fault tolerance, clustering and sharding. Can be up and running quickly. Supports HTTP, RESTful protocol, and JSON additional libraries. Provide an extensible framework for adding external authenticators and password validation. Support database encryption to prevent unauthorized users from accessing database content. Allows to import relational database into OrientDB. In this tutorial, we will learn how to install and configure OrientDB on an Alibaba Cloud Elastic Compute Service (ECS) instance with Ubuntu 16.04. A fresh Alibaba Cloud ECS instance with Ubuntu 16.04 server installed. A Root password is setup on the instance. First, log in to your https://ecs.console.aliyun.com">Alibaba Cloud ECS Console. Create a new ECS instance, choosing Ubuntu 16.04 as the operating system with at least 2GB RAM. Connect to your ECS instance and log in as the root user. Once you are logged into your Ubuntu 16.04 instance, run the following command to update your base system with the latest available packages. 2018-06-02 09:48:02:260 INFO  OrientDB Server is active v3.0.1 - Veloce (build d31da1499f29f04af751d0a8ad108152b2593c8b, branch develop). You can connect OrientDB console using the command line interface to working with the application. Run the following command to connect OrientDB console. OrientDB console v.3.0.1 - Veloce (build d31da1499f29f04af751d0a8ad108152b2593c8b, branch develop) https://www.orientdb.com Type 'help' to display all the supported commands. You can exit from the OrientDB console any time by pressing Ctrl+C. Next, you will need to create an OrientDB system service file to run OrientDB as a daemon on the system. Save and close the file, when you are finished. Then modify the server configuration file's permissions to prevent unauthorized access. Next, you will need to copy OrientDB default Systemd service file to the /etc/systemd/system directory. Jun 02 10:44:53 Node1 server.sh:            ,,:` `,,. Jun 02 10:44:53 Node1 server.sh:        ``        `. 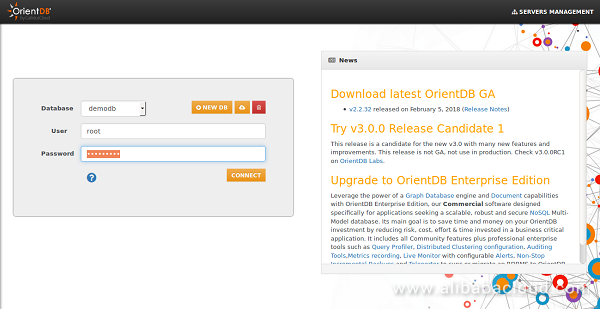 OrientDB is now installed and configured, it's time to access OrientDB Web Interface. Now, open your web browser and type the URL http://192.168.0.103:2480/studio/index.html, you will get the connection will be denied message. 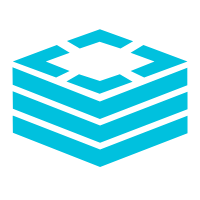 Batch Compute is a cloud service for massive simultaneous batch processing. The system automatically manages resources, schedules tasks, loads data, and bills by usage. Batch Compute is already widely used in scenarios such as scientific applications, genetic data analysis, CGI rendering, media transcoding, and financial data analysis. 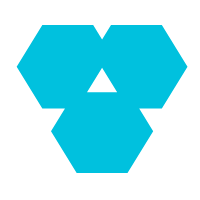 Function Compute is an event driven, serverless computing platform that enables developers to build and deploy their services without the need to manage any infrastructure. It seamlessly handles the resource management, auto scaling, and load balancing so you can focus on your business logic and increase your development velocity. You can also setup various event sources from other Alibaba services to automatically trigger your code to run. The best part is you only pay for the resources your code actually consumes to the nearest 100 milliseconds.